WIN YOUR SHARE OF UP TO $75,000 IN CASH & PRIZES! RETURN CHRISTMAS DAY TO WIN A BRAND NEW SLEIGH! This holiday we’re offering a truckload of cheer and prizes, including the truck itself! Start earning entries Monday, November 26. Receive one entry for every 25 points earned. Three winners will be drawn between both locations at each drawing time for a chance to win cash! 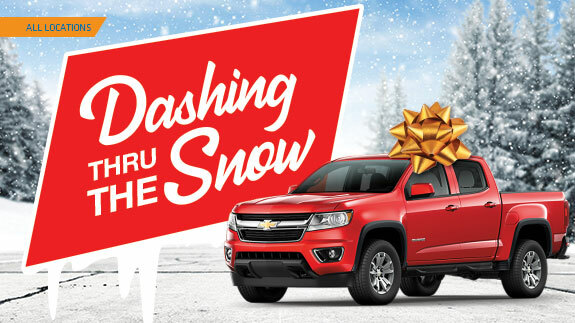 On Christmas Day, one winner will drive away in a 2018 Chevy Colorado! Double Entries Wednesdays and Fridays!